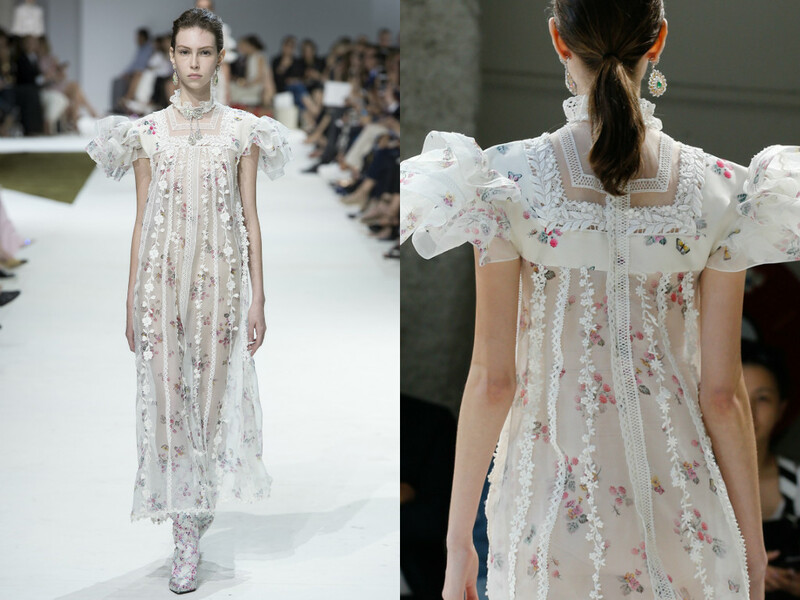 Gimbattista Valli is always a show that I look forward to writing about. 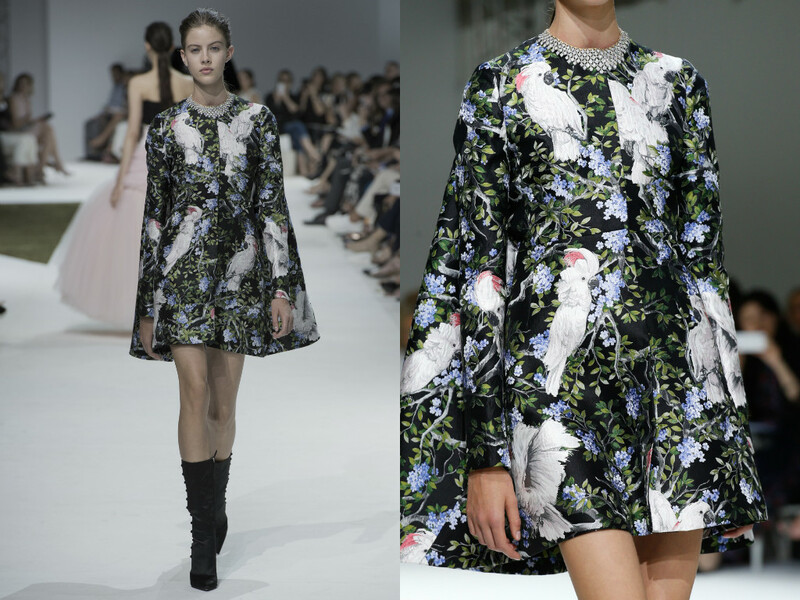 I am such a fan of the label and every season I list them as one of the shows to look out for. 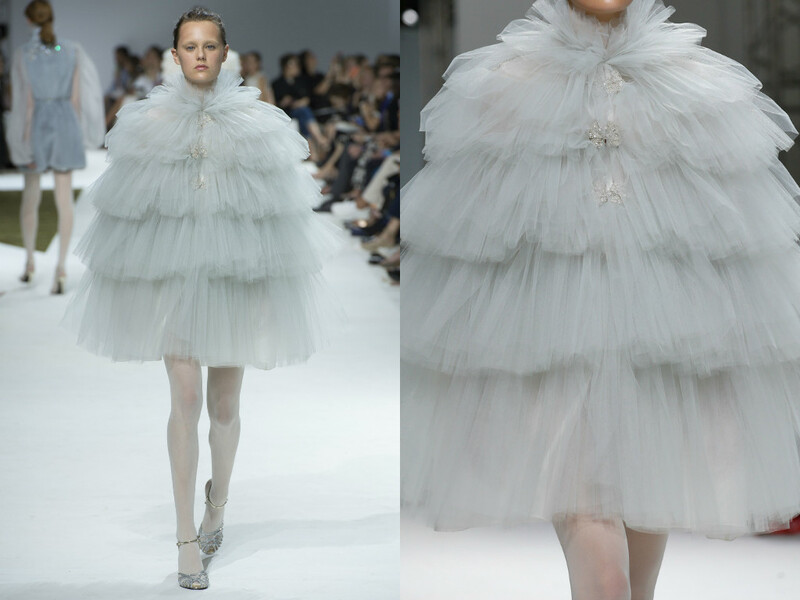 The set up of the show at Giambattista Valli was very modern, neat and bright - with the looks that graced the runway contrasting that feel with a historic, almost napoleon feel especially with the exageratted shoulder ruffles. 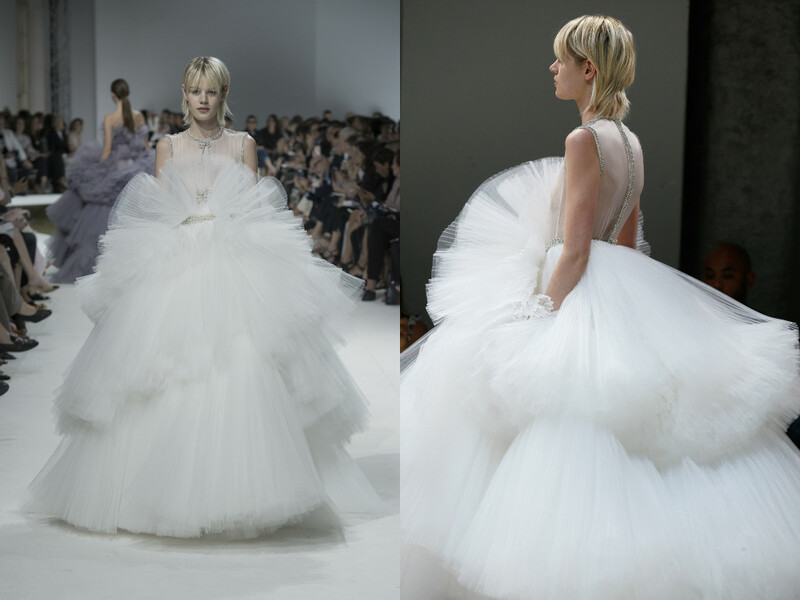 It was gorgeous and exactly what we would think of when we hear couture. 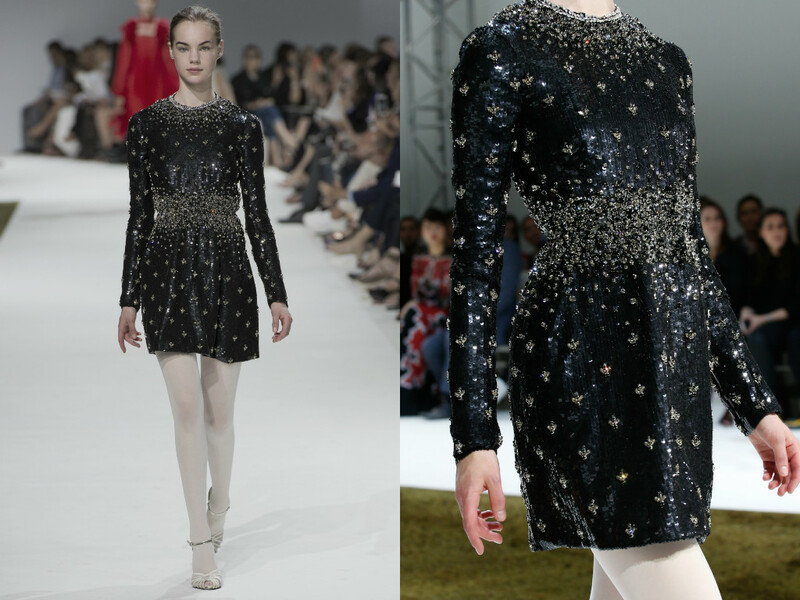 The detailing that the house brands to these shows is incredible. I first noticed the brand when Jennifer Lopez wore that beautiful mustard yellow gown at the Golden Globes, and when Blake Lively wore the brand in Cannes. 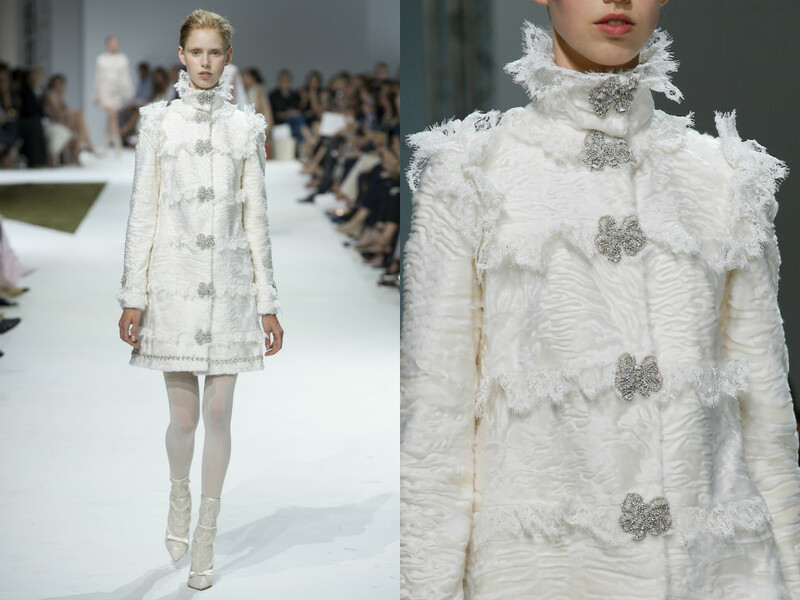 The clothes are always so feminine and chic and that is what the brand prides itself on. 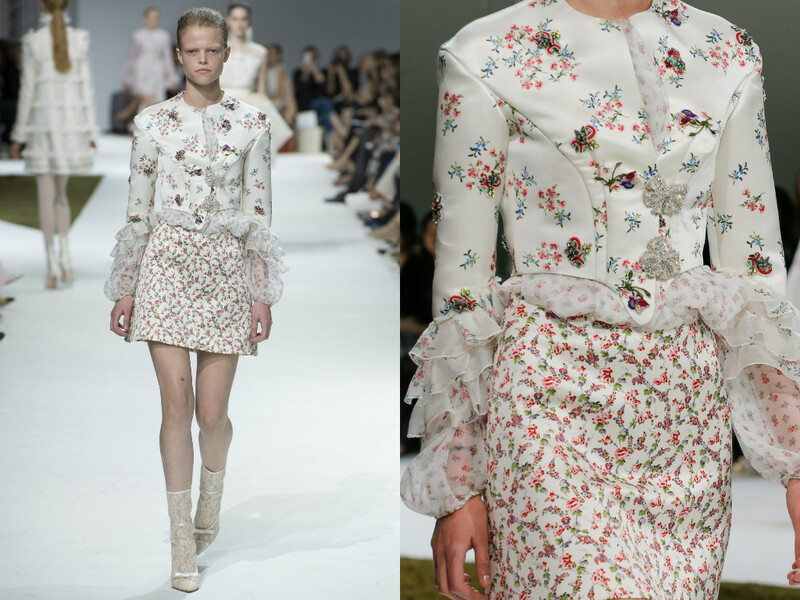 The collection was very heavily based on puffed sleeves, beautiful embroidery as well as gorgeous shoes which I couldn't take my eyes off. 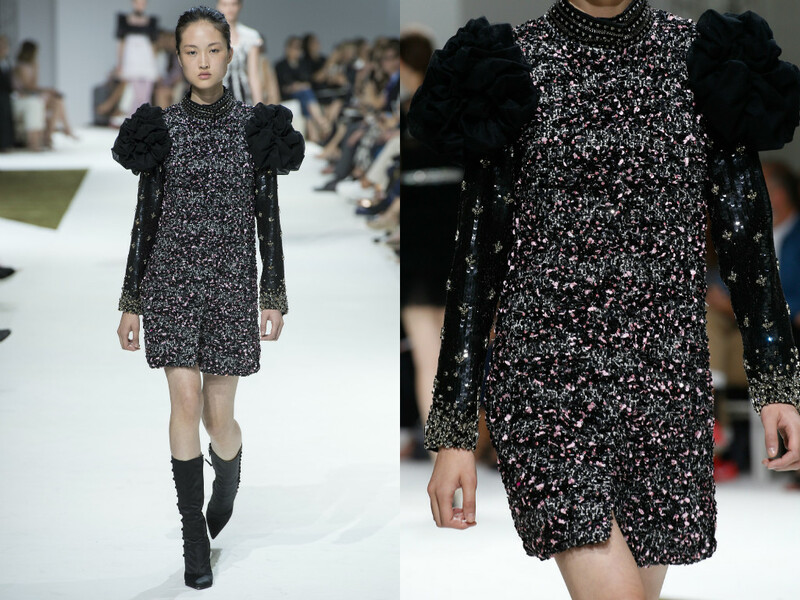 Two pairs dominated the show which were some black heeled satin boots and scrappy sandals. 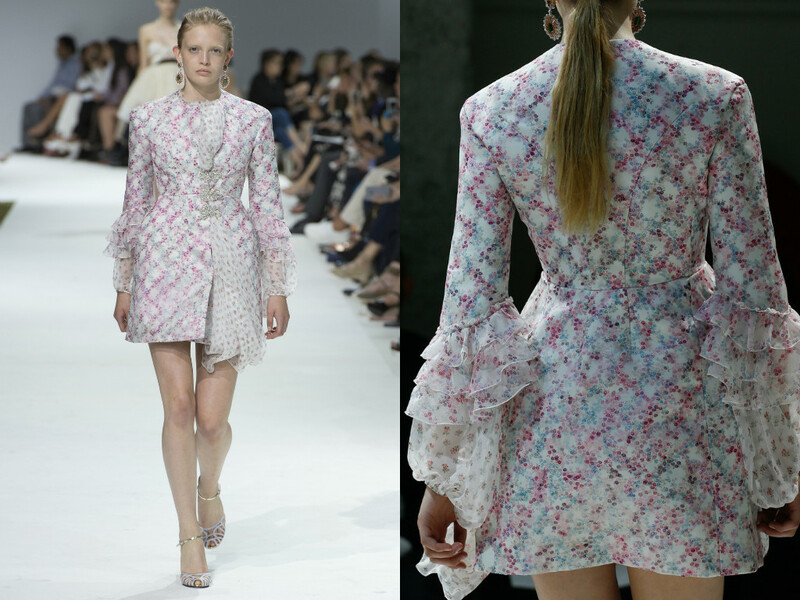 Of course, Giambattista Valli took a very modern twist on some looks regarding the napolenic era, with thigh-skimming dresses and skirts with a look even showing the midriff. 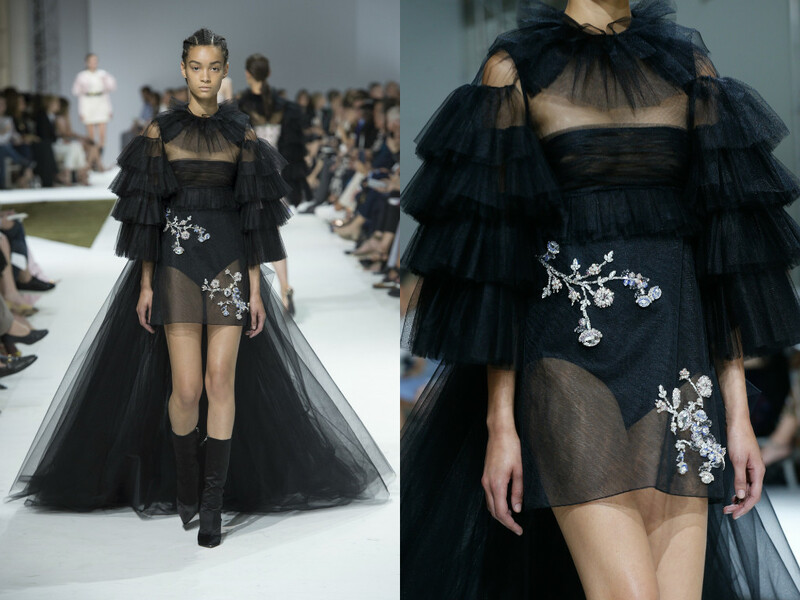 Beautiful ruffles with diamond detailing really set off a couture and luxurious feel to the collection and that really did stand out for me - it is what I wanted to see but also what I was expecting with an edge. 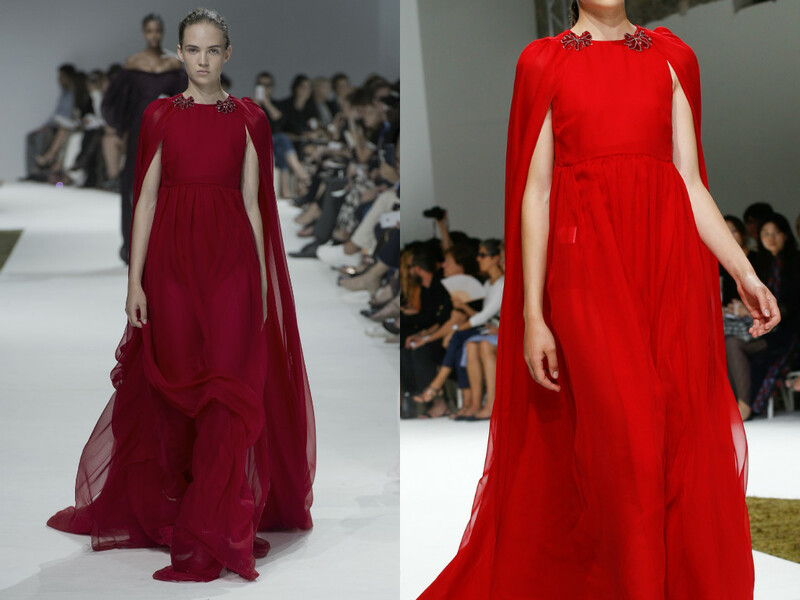 There was a particular red look which stood out for me though. 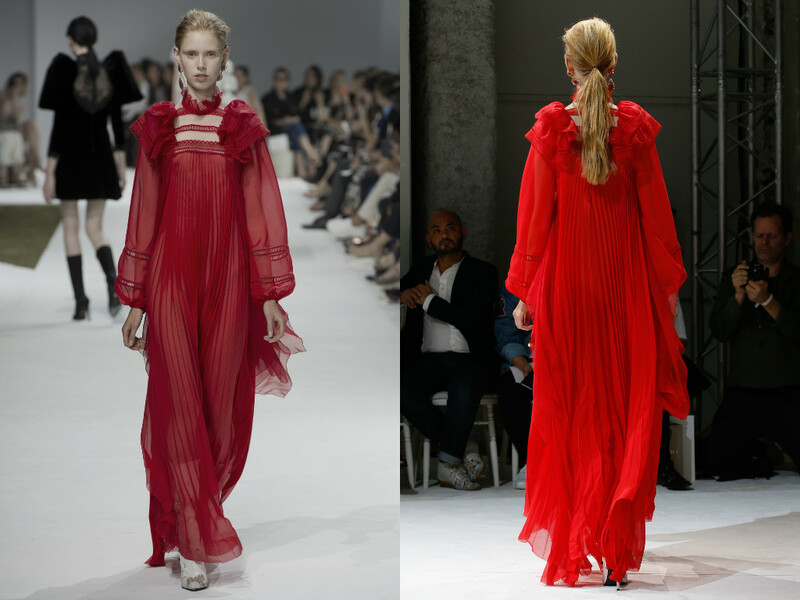 The gorgeous crimson red fur coat with red embellishment teamed with red tights and red shoes.... it stood out because it was certainly a contrast from the more regal looks that graced the runway. 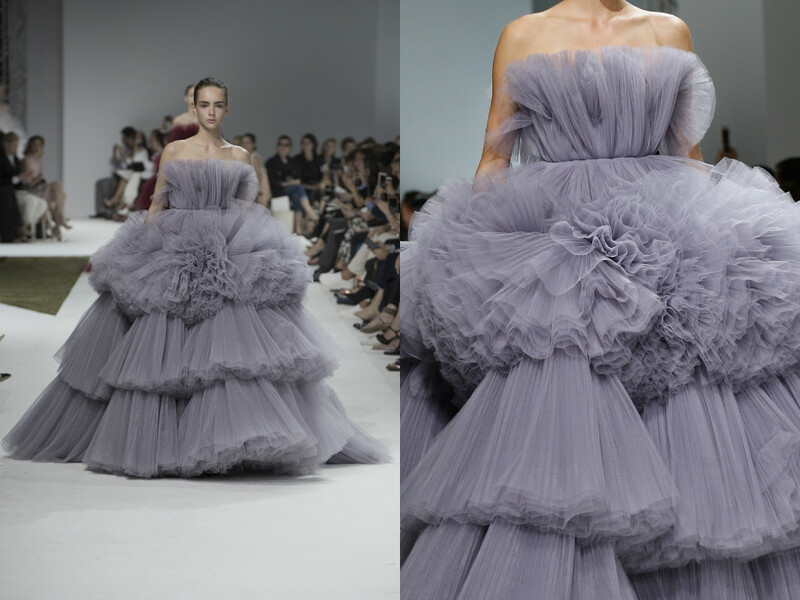 Of course, this would not be a Giambattista Valli couture show without the huge gowns to dance the runway towards the end. 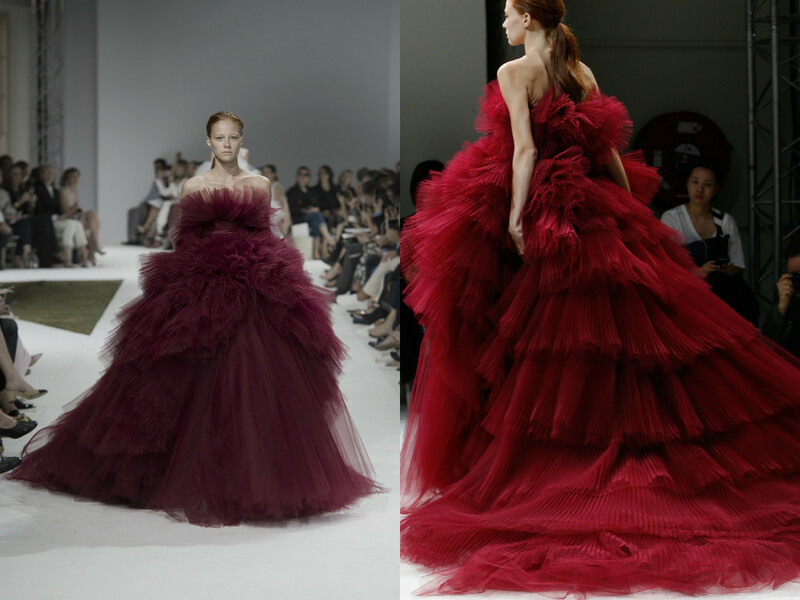 A particular highlight was again the crimson red tulle gown which I really hope graces the red carpet sometime soon. Next year's Oscars perhaps?